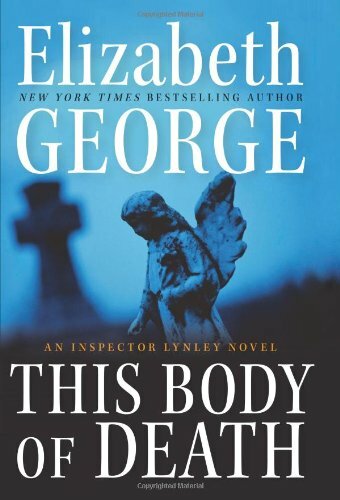 I was a fan of the BBC’s Inspector Lynley series long before I approached George’s novels. I enjoyed the sharp contrast between the aristocratic Lynley and his working-class sergeant, Barbara Havers. The television series does a nice gloss on the characters’ relationships and peculiarities, but only a lengthy novel–indeed, a whole series of novels–can explore a series character’s true complexity. The Lynley novels are set in England; George herself is an American, born in Ohio. I’m sure there are readers out there who spend a lot of time trying to spot details in her novels that aren’t sufficiently English, but I think they’re wasting their time. Really, who would bother with such a thing? As to why her work is set in England, she writes–with a hint of irritation–“I’ve answered this question so many times since 1988 when I was first published that, had I known how many times I would be asked, I would have set my novels somewhere else!” Aside from the fact that England is just plain historically and culturally fascinating, I can understand the attraction of setting crime novels there rather than here in the U.S. Its still-rigid class structure provides a stark, solidly-composed background that allows for an enormous scope of characters: They can be boldly drawn, or deliciously complex, as required, and a base conflict is already built-in. Other conflicts–racism, emotional damage, greed, lust–layer nicely on top. It’s that layering that I find so compelling in George’s novels. In this culture of sound-bites and 30-minute news cycles, I find myself starving for depth and something to sink my brain into that’s more engrossing than a 140-character description of someone’s wacky mother/lunch/boss/bowel movement. Yes, there are thousands of pre-21st century works of literary craft that would suffice, but it’s lovely to have a contemporary, character-driven story with…I’m going to say it…plot. In This Body of Death, Detective Inspector Thomas Lynley is finding his way back to work after grieving the death of his wife. He and Havers are part of a team investigating the gory murder of a young woman in a cemetery. But they are subject to the whims of an ambitious, troubled woman,Isabelle Ardery, who is heading up the team. One of the novel’s primary settings is The New Forest, with its legendary wild ponies. I was particularly drawn to the parallel mystery of the murder of a toddler, and when I learned where that plot merged with the novel’s present action, I was blown away. How interesting that it is the mystery writer who can give us compelling stories with admirable prose. Have you read Louise Penny, or Charlie Huston (a thriller writer, really) or John Hart or Malla Nunn? But I digress. You already know the dissing of genre novels is one of my pet peeves. What I will do in the end is recommend George’s Lynley series to you. It would be helpful to start at the very beginning, but it isn’t necessary. I confess that I didn’t care much for What Came Before He Shot Her, a recent, series-linked digression which felt heavy and didactic to me, but others have liked it. I’ve been encouraged to write a series character, but I can’t ever imagine being able to do it with the grace and success of someone like George. The television series has ended, which is a shame. But George is still writing the novels. Good news. Maybe I’ll go back to this series. I’ll defend any author’s right to do whatever she pleases to her characters, and would have been glad if Lynley’s wife had been eliminated several books sooner. But the way George handled it in WITH NO ONE AS WITNESS struck me as lazy, unfair, and disrespectful to her readers — so much so, in fact, that she needed to write a whole other book in order to justify it. It sounds like THIS BODY OF DEATH might be a series reboot, which would be the only thing that would bring me back to it. George has a long letter to her readers on her site about her choice to kill off Helen the way she did. It seems she knew she would do it for years, but didn’t know exactlly how it would happen. I understand her explanation–that people die sudden, violent deaths all the time–but it was a big risk that didn’t necessarily pay off. She writes that she planned to put the story of WHAT CAME BEFORE HE SHOT HER into WITH NO ONE AS WITNESS, but that the book got too long. The reader reviews are all over the place for THIS BODY OF DEATH. I think people are still pissed off. I liked CARELESS IN RED. It had just the right timbre, given that Lynley was grieving. Subdued. I’m reading CARELESS IN RED right now, after slogging through WHAT CAME BEFORE HE SHOT HER, in which I ended up skipping 350 pages to get to the shooting so I could get on with the series. I admire her idea, and the story was interesting, but the dialect was so annoying. I was reading it on my Nook, which might have lent itself to the irritation. But I agree wholeheartedly – she’s brilliant, the series is excellent.